*Brew 30g Cinnamon, 9g Cloves, 6g Nutmeg, 35g Fresh Ginger, 3g whole Black Peppercorns and 1 Slice of Orange in 1500ml Spring Water for 45 - 50 minutes. Strain and cool. 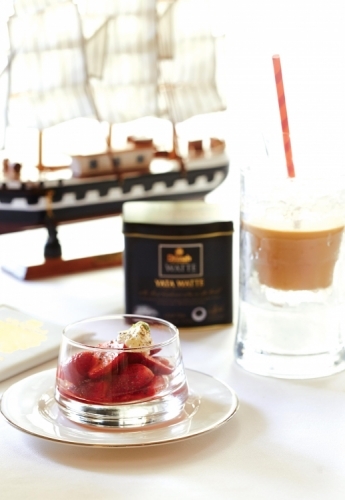 Add fresh milk, coconut milk and spice syrup into the brewed Yata Watte and transfer into an ice-filled shaker. Shake well. Pour the mixture into a chilled mug and serve immediately.